Talk with Dustin Mathews now! Sought after by the biggest names in business to monetize their message, mission or movement, business builder and marketing expert Dustin Mathews is THE mentor and coach to the stars. Dustin's chief mission is advancing the human race by empowering leaders to communicate powerfully, unlock their fullest potential and ultimately step into their Greatness. Dustin is the author of many bestselling books and has shared the stage with athletes, business celebrities, and titans of business. His latest book is the NO B.S. 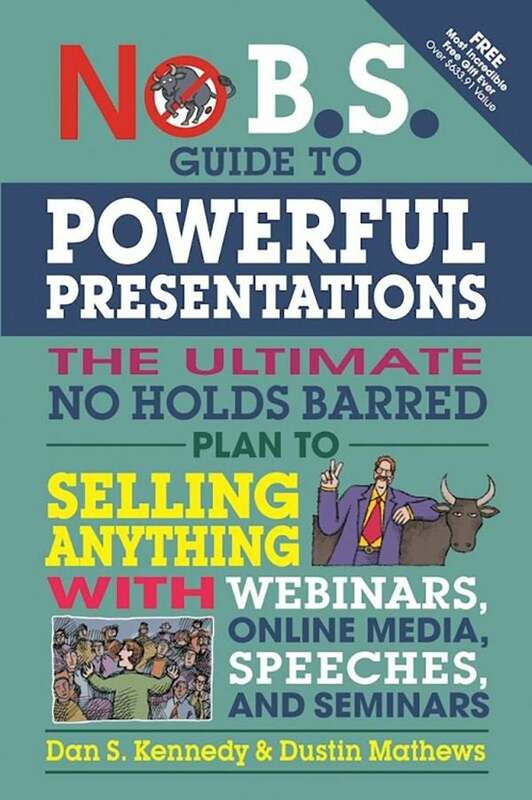 Guide To Powerful Presentations: How To Sell ANYTHING With Webinars & Online Media, Speeches & Seminars (Entrepreneur Press). Having marketed and filled over 3,000 events AND leading 10 online product launches, Dustin has generated over $43 million dollars in sales. In his most recent research, Dustin codified a process for creating and selling products and services – Irresistible Offer Architecture® which recently received recognition by the United States Patent and Trademark Office. His current innovation, Brand Response®, leverages the fusion of branding, PR and direct response AND is already generating success stories out entrepreneurs and business owners worldwide. Dustin Mathews is the co-author of No B.S. Guide to Powerful Presentations with Dan S. Kennedy and the host of the Get WealthFit! show. These simple tricks can help you ask better questions and promote a better company culture. Command, convince and convert the audience the next time you speak. Five strategies you can use to sell your product without pushing for a sale. Learn the secret formula to effective presentation follow-up. Use the power of emotional storytelling to make your target customers feel like heroes and close more deals. How to build buzz and anticipation well before you take the stage. Speaking at events for "free" is more valuable than you think, and here's seven reasons why. When you have an irresistible offer advantage, you can drive extraordinary results from an un-ordinary, just serviceable presentation. Incorporate these four strategies into your next presentation offer to guarantee more sales.